The meeting was organized within the framework of the established Technical Working Group and Contact Group on Saving Lives at Sea, which aims to ensure internationally recognized best practices to protect the lives of the migrants and refugees when conducting embarkation/disembarkation procedures on often unseaworthy and overcrowded vessels in distress. During the two-day meeting Standard Operation Procedures developed during earlier technical meetings were presented and discussed in order to improve collaboration between actors involved in rescue-at-sea operations off the Libyan coast. Achievements and challenges related to rescue operations were also discussed, as well as gaps in existing Libyan capacity and equipment, including boats and protective clothing. “Our goal is to save people’s lives. But as the migration season – springtime – approaches, Libya’s Coast Guards are facing major challenges due a lack of resources and equipment. 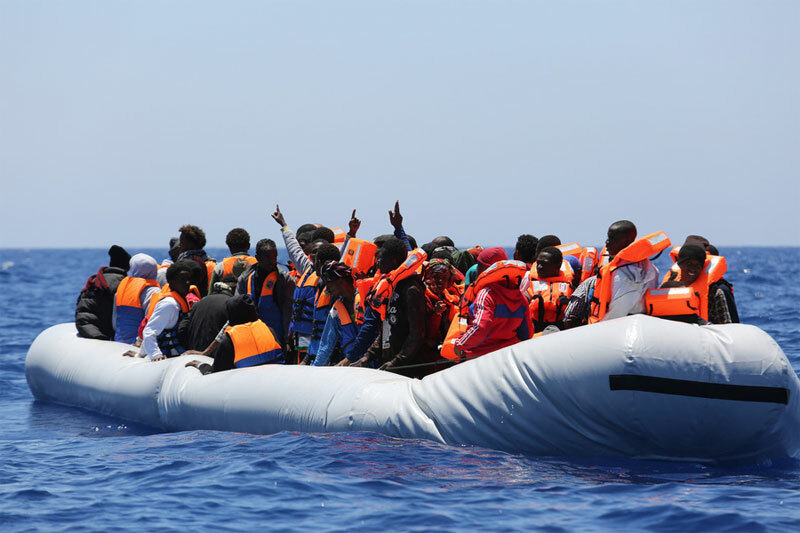 The boats used last year were not search and rescue boats and now they have deteriorated,” said Colonel Aboajela Abdbari of the Libyan Coast Guard in Tripoli. Attendees included 25 participants from the Libyan Ministries of Defence, Health, Interior and Justice, the Border Directorate, the Department for Combating Irregular Migration (DCIM), the International Medical Corps, the Libyan Red Crescent, Danish Refugee Council and Doctors Without Borders (MSF).